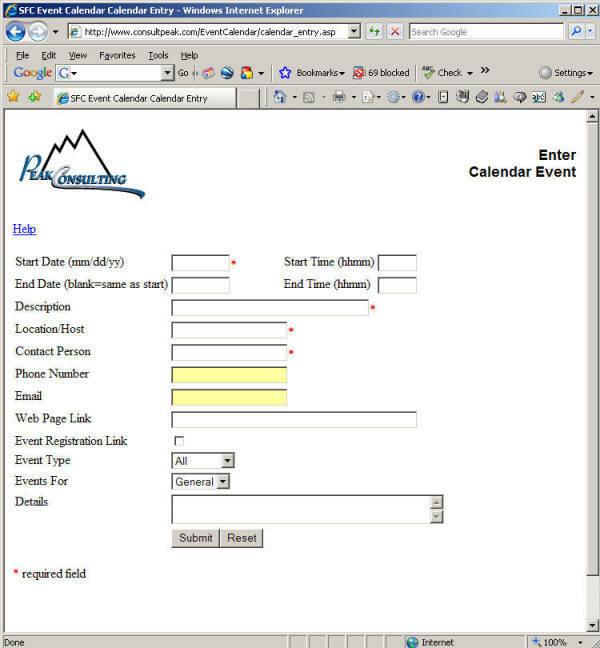 Data entry is possible from anywhere on the Internet using only a web browser. Full password security can be used to protect all or part of the data allowing public and protected functions. Data is centrally located and protected. Please use the links to explore these applications. Click here to see the calendar from a visitors perspective. 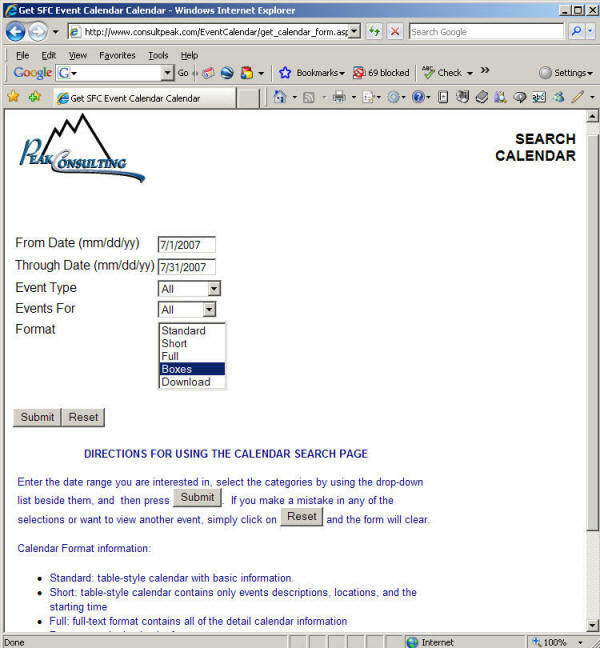 The calendar can be searched for specific events and and displayed in a variety of formats. 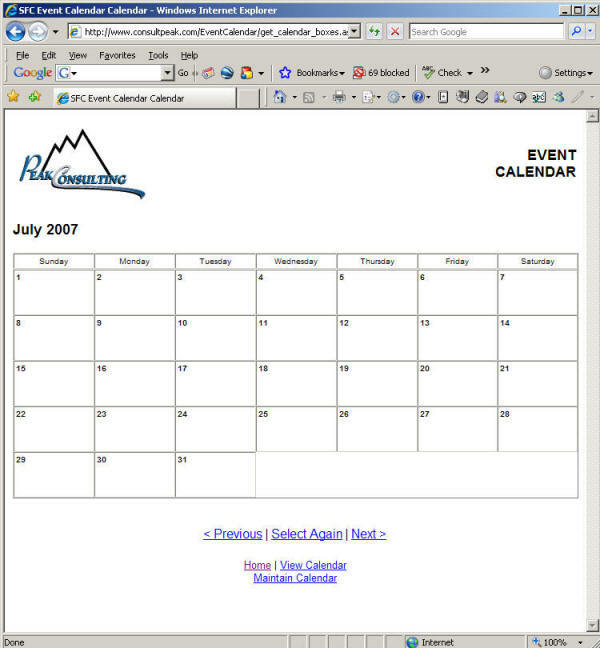 The calendar application is maintained using an on-line form. A login is required to edit or delete entries. Additionally, you may designate an event as having registration and the application will automatically allow on-line registration or you can enter registration information for the registrants. Registration data is then retrieved using a simple selection. 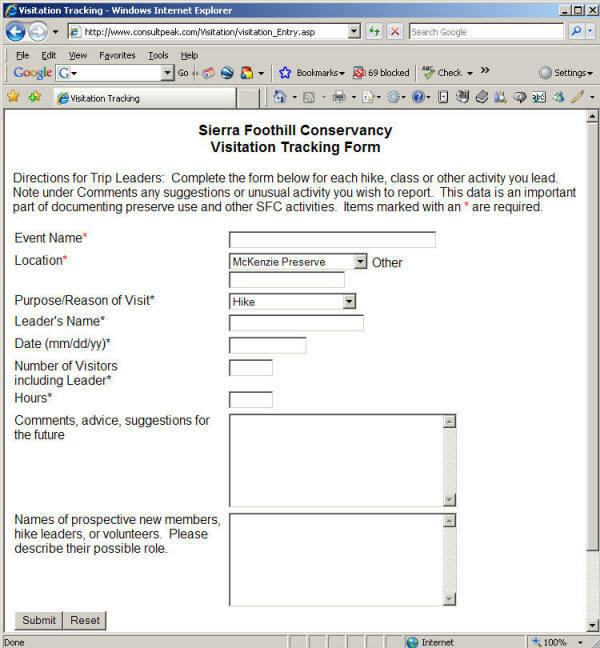 Visitation Tracking This simple application allows entry of data into a web based form then the data can be retrieved using a simple query form. Selected data is retrieved and displayed as a report.